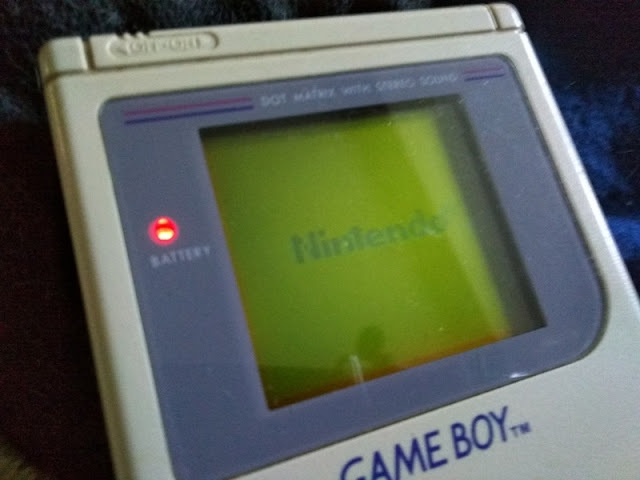 It was sometime in the 1990s when the original Nintendo Game Boy came into the scene with its peculiar grey boxy shape and green color screen...and you know what, it was the coolest thing I had ever seen! 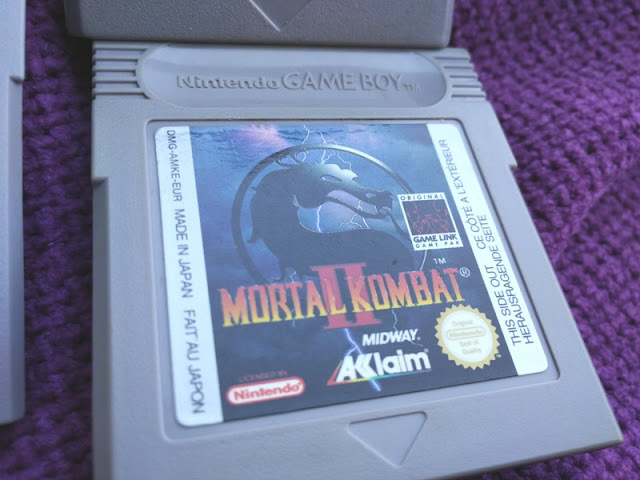 I was one of those Nintendo kids who grew up in the +Nintendo era of The Super Nintendo Entertainment System so the Game Boy has a special place in my heart! 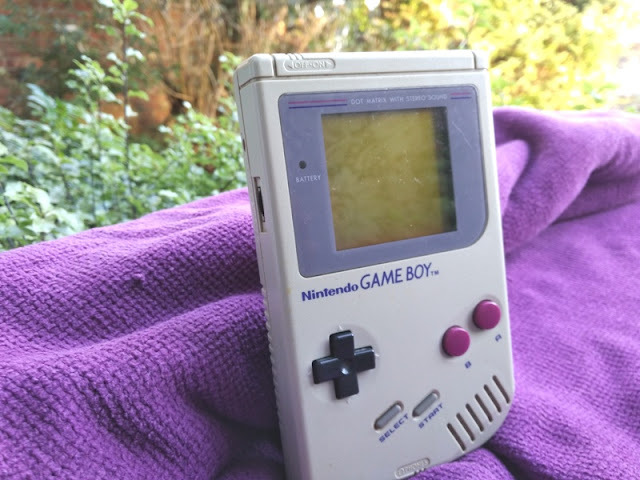 By today's standard, 8-bit color graphics and 4.19 megahertz processing speed may sound like nothing but at the time, Game Boy's 8 Bit 4.19MHz processor gave life to some of the best video games ever, making +Nintendo the best selling video games manufacturer to date. 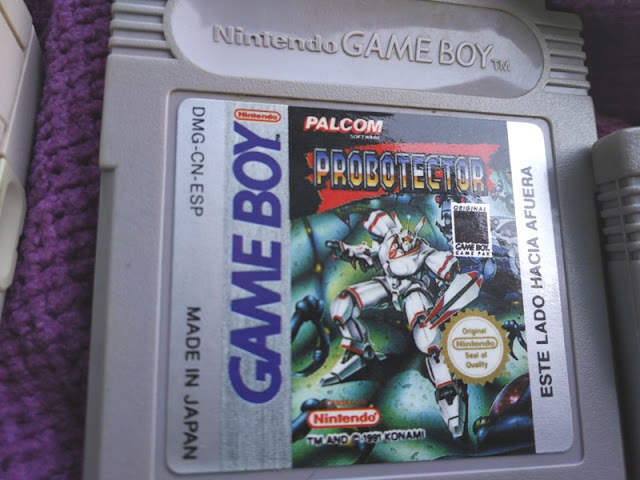 It's hard to believe that it's been more than 20 years since the first time I ever laid eyes on an original Nintendo Game Boy and almost forgot all about this 1990's gaming relic I had stashed away. 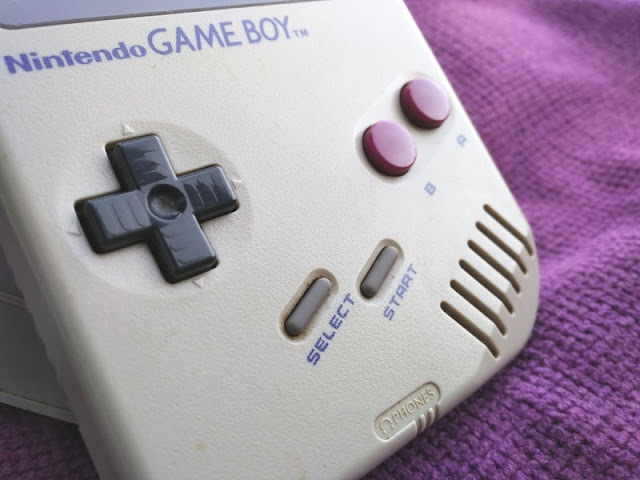 You can even see "honest" dust collected on the speaker vent but other than dust and old wear and tear, the Game Boy works! 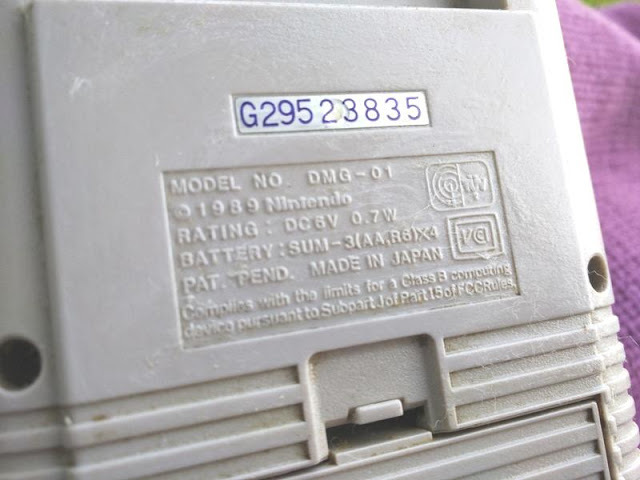 Doing some research about the Game Boy's model number, DMG-01, it turns out DMG stands for Dot Matrix Game which apparently is the nickname the Nintendo's engineers gave the Game Boy, and since the +Nintendo Game Boy is a 2-dimensional gaming system the nickname DMG is quite appropriate. 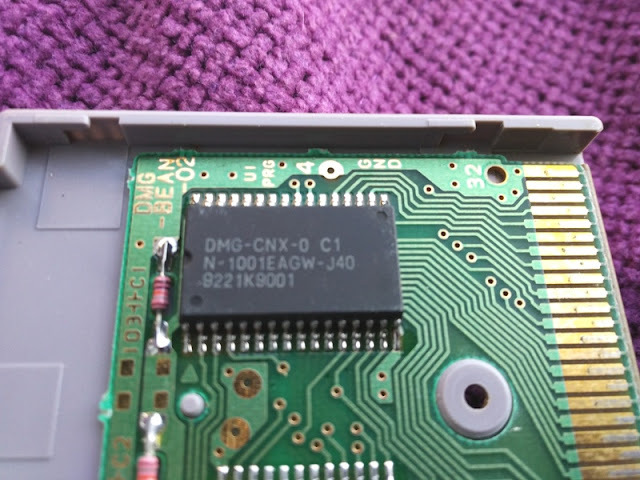 The original Nintendo Game Boy didn't come with a power adaptor though it does feature a DC port with a message saying "USE ONLY DMG-03.-05 DC6V". 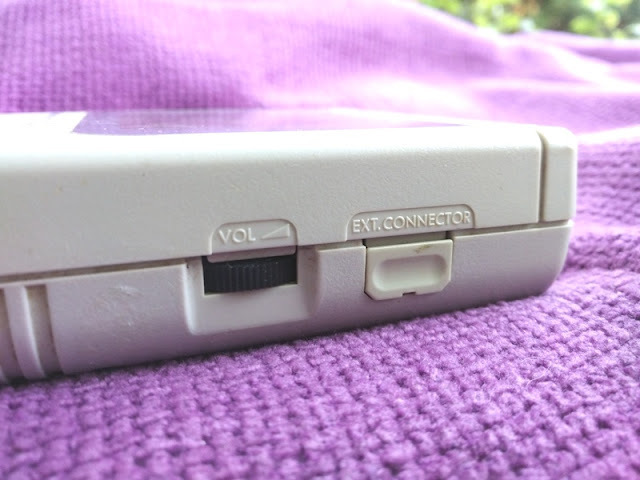 On the right handside of the Game Boy, you find the volume adjuster and extension connector port that allows you to hook up two Game Boys for 2-player mode games. I was eager to get under the hood of the Game Boy DMG-01 but couldn't because this Game Boy model uses triwing screws. 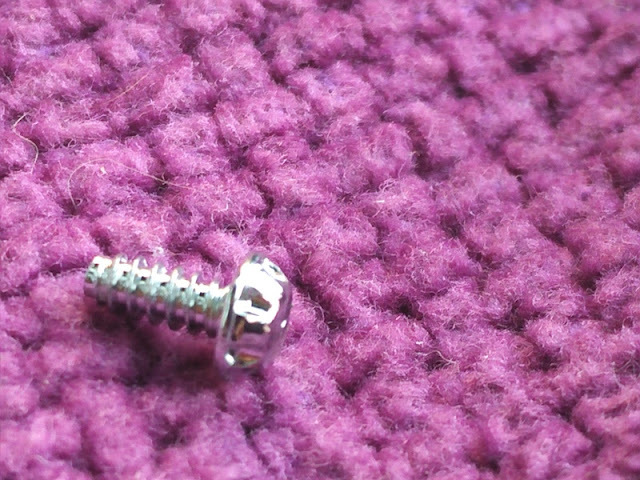 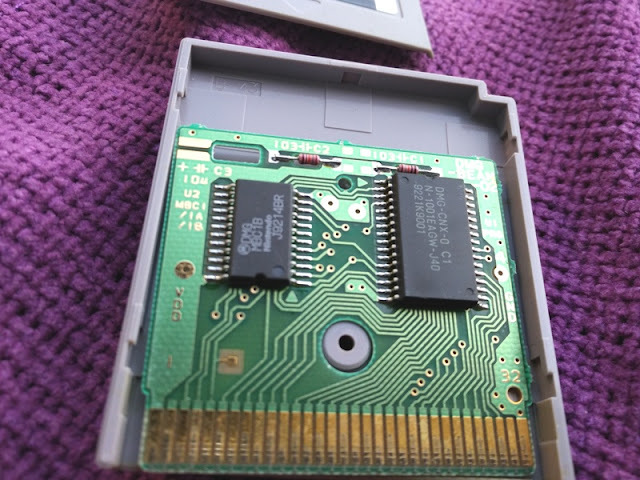 Looking around online, it seems some Game Boy DMG models came with Phillips head screws instead, which is interesting. 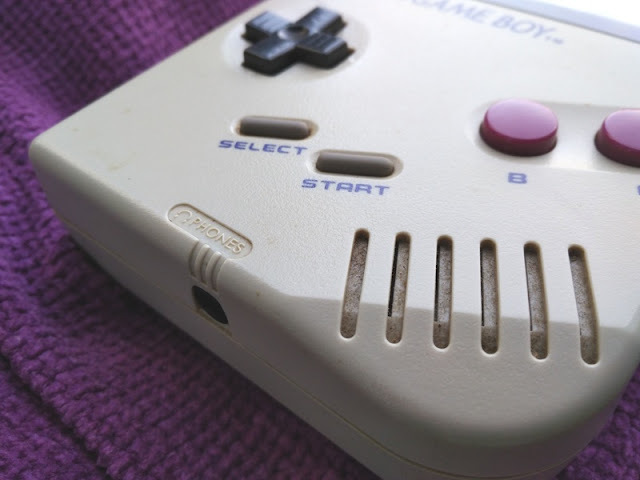 The Original Game Boy uses four AA batteries. 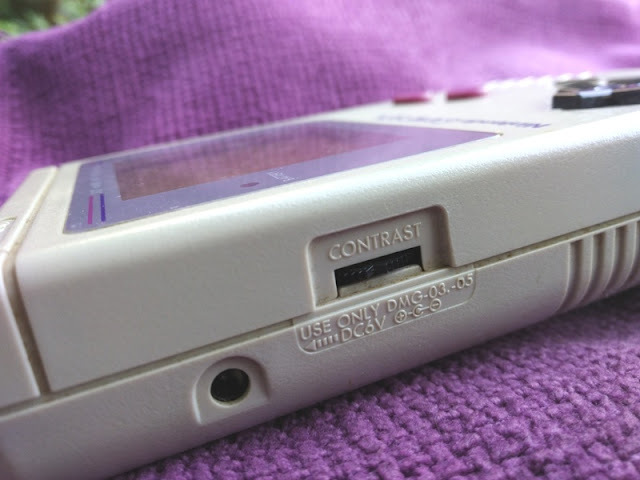 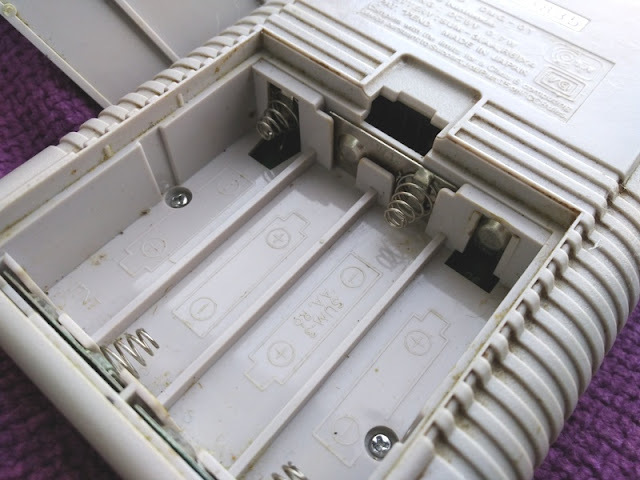 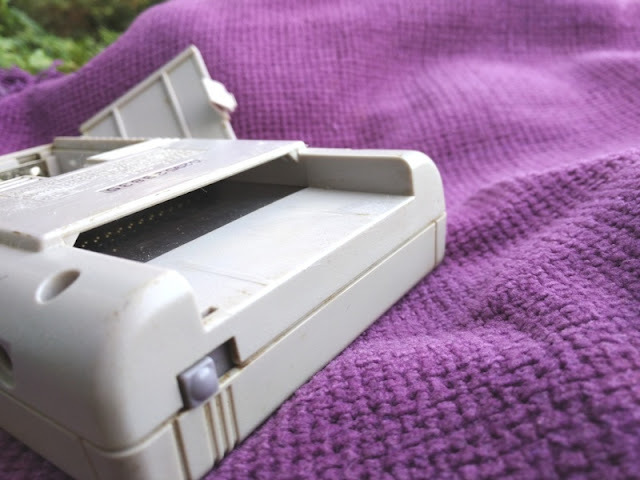 On the picture above you can see the power switch for turning the Game Boy ON and OFF and the slot where Game Boy game cartridges are inserted. 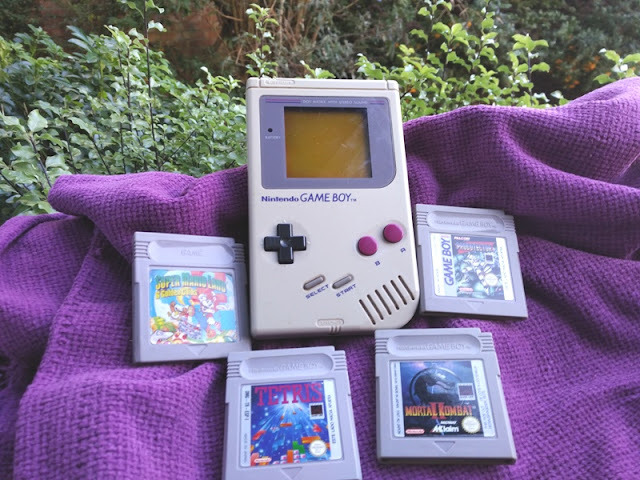 The 1990's was without question Nintendo's golden decade thanks to the release of the original Game Boy handheld console and of course, Game Boy games. 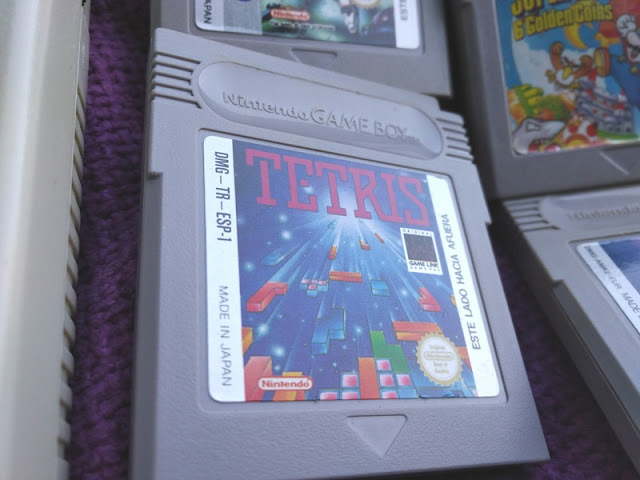 I remember owning a ton more Game Boy games but so far I have only managed to unearthed Tetris, Probotector, Mortal Kombat 2 and Super Mario Land 2 "6 Golden Coins". 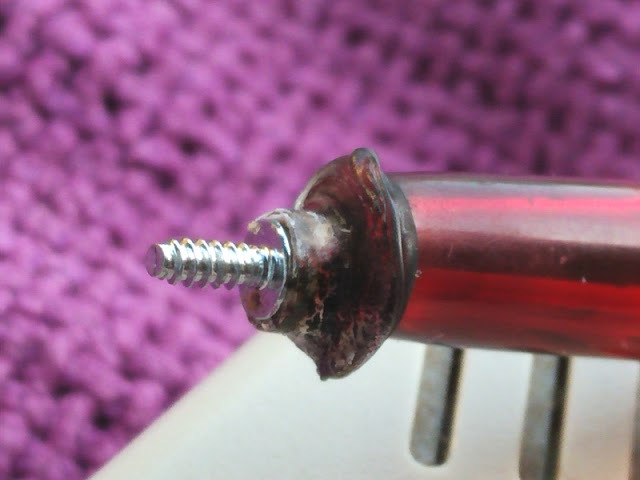 As the saying goes, curiosity makes you smarter and so I went ahead and opened up a Gameboy video game cartridge by fashioning a plastic ball pen into a Gameboy screwdriver tool to unscrew the Nintendo security screws (inverse torx screws). 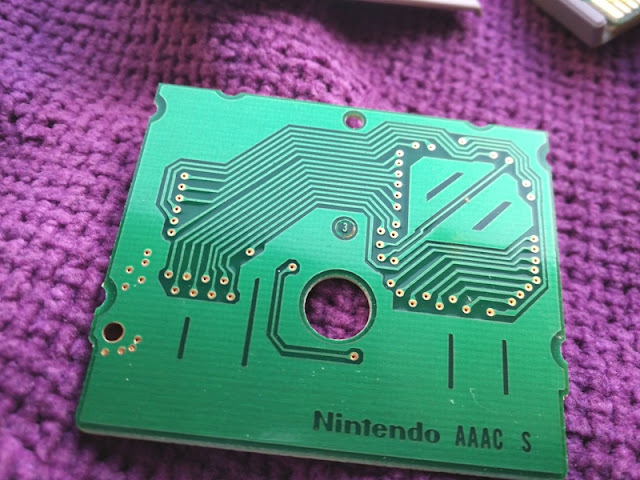 I was expecting to see microchips inside a Game Boy video game cartridge and that's exactly what I found on the Probotector's circuit board. 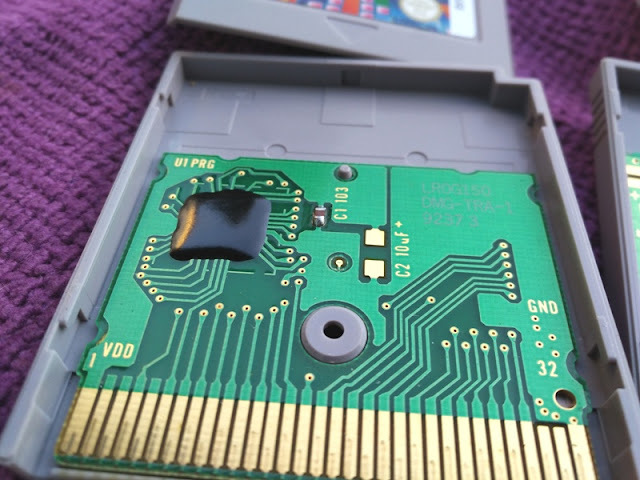 However, the Tetris circuit board has a Chip on Board (CoB) covered by a blob of epoxy, which is the black blob you see in the picture above. 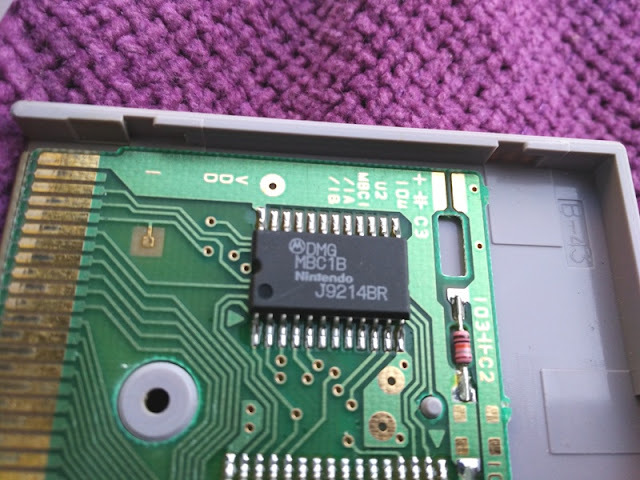 One of Probotector's Game Boy game cartridge's microchip reads; DMG MBC1B, Nintendo J9214BR. 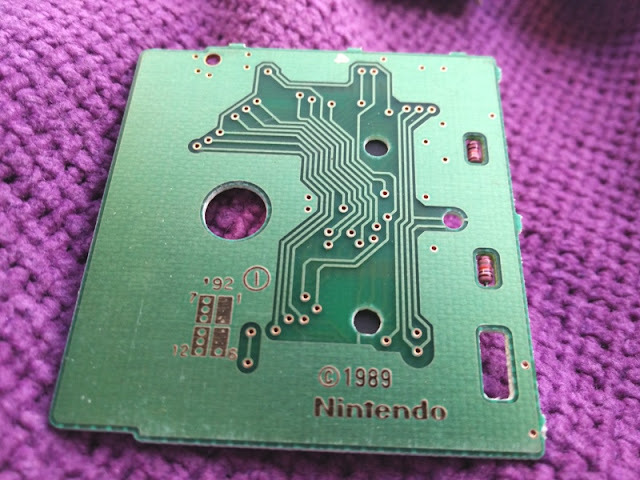 It's also interesting to learn that some Game Boy game cartridges even came with a 3V coin cell battery (CR2016) built-in the circuit board for powering one of the microchips that stores/ saves game data.